Home > Bespoke Life > Will Lilium be the next level for luxury planes & helicopters? Will Lilium be the next level for luxury planes & helicopters? Meet Lilium, a vertical take off and landing (VTOL) airplane that looks like it was designed by Apple. Lilium isn’t ready yet, but this private plane is expected to hit the clouds silently and the markets, somewhat more loudly, in 2018. This unique craft, a marriage of futuristic travel and modern day technology, is being backed by hard science. Unlike our current private planes, Lilium will run silently, on electric power and essentially be a hybrid of helicopter and jet. But is this the future of luxury flight? One of the most remarkable features that Lilium is being praised for is how astoundingly quiet it is. In part, this is achieved simply by being an aircraft that is powered by electricity. Electric cars and buses have been quietly traversing roads for years. It’s important for Lilium, as an example of future flight, to have considered its environmental impact. Both pollution, from conventional fuels, and sound pollution have a significant impact on the world. This two person private craft is able to fit in a space of around 50 by 50 foot, making it a particularly petite private plane. The idea behind Lilium is also that it would be more easily used in urban areas than modern helicopters, allowing for safe take offs and landings in built up areas. This functionality could revolutionise the private travel market, as well as create changes to the way we view air travel in cities. And with a range of around 300 miles/ 500 km, inter-city travel would also be feasible – lowering road congestion. The future of private flight? Lilium is of course exciting of its own accord. But it also opens up a huge range of options for future private aircrafts, from the helicopter to the jet. 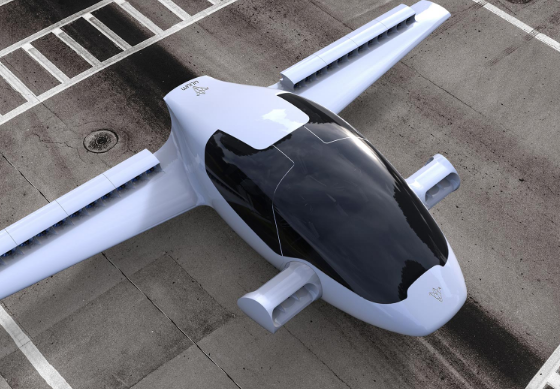 Lilium could very well be kickstarting an automotive revolution in the skies. Doing for air travel what Karl Benz did for cars. With Lilium not available until 2018 we may have a long wait on our hands for other advances in the private aircraft field. But quieter, eco friendly jets will surely be welcomed. In the interim however, we’re happy to say we have ultimate comfort and convenience covered in our private jets and helicopter charters – but that doesn’t mean to say there isn’t more exciting things to come.